A new adventure for Ruffneck Ting and The Xtraordinary League Of Junglists !! 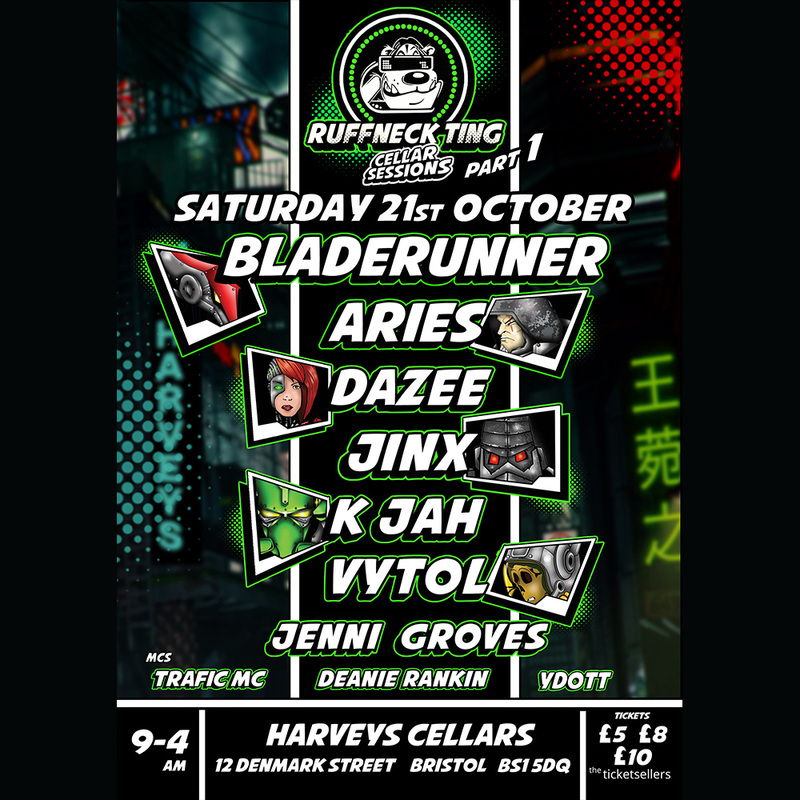 Running 9-4am, in the beautiful underground multi-cave cellars of Harveys, we have the mighty Bladerunner dnb and Aries joining the RNT residentials DJ Dazee Jon Jinx Kirton K JAH Rich Vytol Plus Gloucester’s rising star Jenni Groves and hosts: Trafic MC Mc Deanie Rankin Josh Ydott White . Early Bird tickets are just £5 second tier just £8 ! More on the door ! Ticket purchase strongly advised for this Xtraordinary Ruffneck Ting Experience!